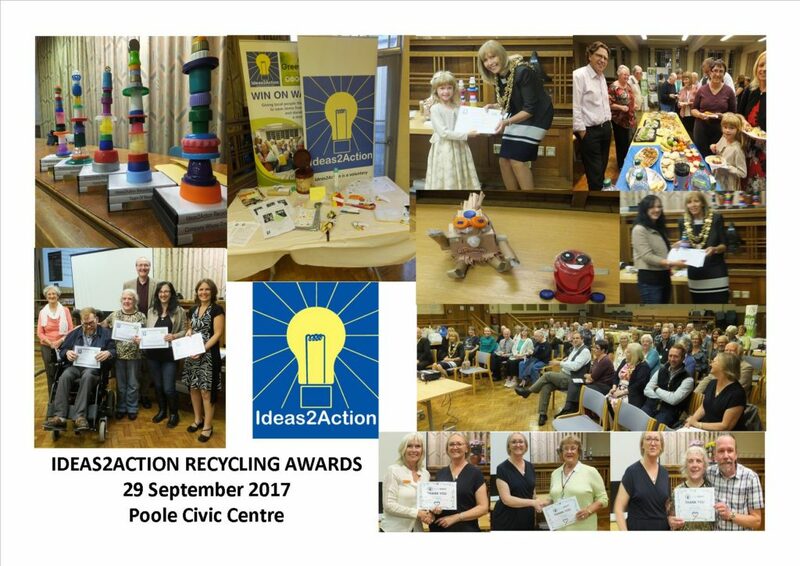 We ran Win on Waste sessions in Hamworthy, Parkstone, Southbourne, Westbourne and West Howe on 30 September. Approximately 100 people took part with the items they donated going to help around 9 good causes. 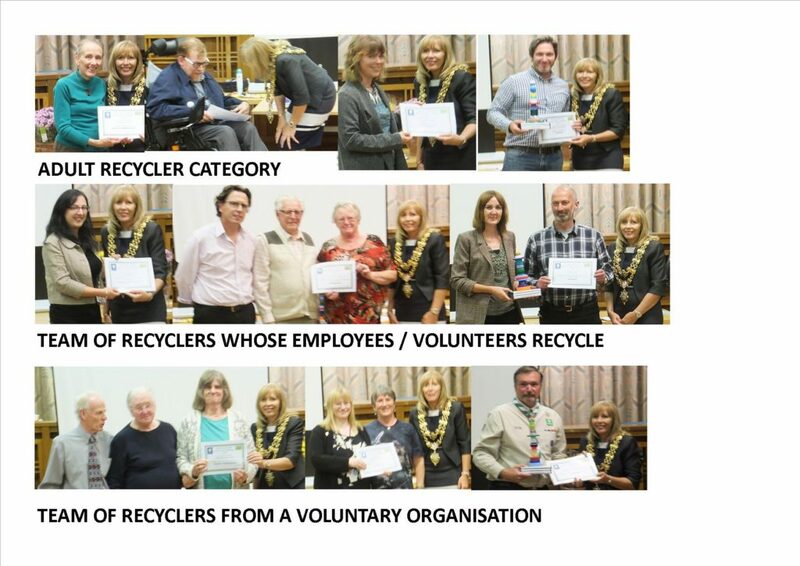 Sixty people attended our second Recycling Awards event on Friday 29 September, which aimed to recognise the fantastic work which local recyclers do, along with announcing the winners of our first Model-Making competition. 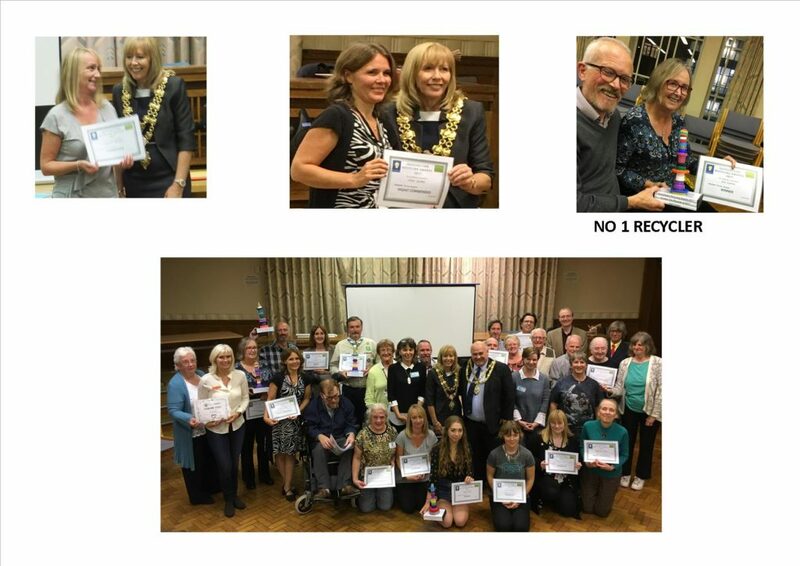 As well as certificates for the Awards presented by the Worshipful Mayor of Poole Councillor Lindsay Wilson, certificates were also given to our Ambassadors for all their voluntary help and also to members of the Win on Waste groups. 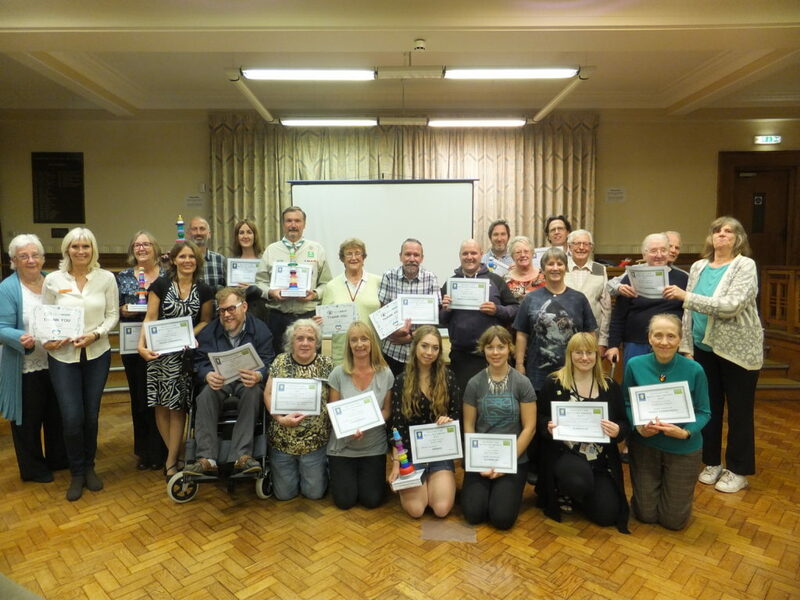 Ailsa Walter from Gift of Sight presented three certificates as a thank you for their help raising money for the charity via milk bottle top collections.